Some things you just know, like the fact that a Ferrari is fast and a Rolls-Royce is luxurious. Can you say the same about tires? What about a Kumho? Or a Douglas? If you answered, “Huh?” and, “I know Douglas! He eats donuts!" then you’re going to find this guide quite useful. I used to liquidate over 10,000 vehicles a year, so I had to buy new sets of tires by the hundreds. Every manufacturer has a song and dance about why their tires are the best. Some use mascots, like the famed Michelin Man and Goodyear Blimp. Others hammer you on price, price, and price. 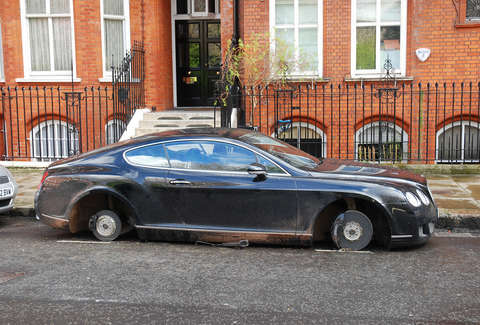 Then comes the killer: the mounting, balancing, and tire disposal fees that can often exceed the price of a single tire. You negotiate a good deal, you think you’re in the clear, and then, bam! Another $80 sucked out of your savings account. You can kick your old tires to the curb and avoid the retailers' games while easily saving yourself about $200 to $400 on a single set of tires -- if you know what you're doing. The cheapest, most entry-level tires will only save you money if you're selling your car in the very near future. As you might expect, ride quality, fuel economy, and traction are universally worse on the lower end of the market. But it's by a jaw dropping margin... and many of these tires are unlikely to last up to their limited warranty periods (30,000 to 40,000 miles). In other words, don’t go for the cheapies. And no matter what you do -- don't buy used. Best time to buy tires? Holidays. The 4th of July, Memorial Day, Presidents' Day, Labor Day, and Thanksgiving are the days and holiday weekends where tire shopping has the greatest impact on your bottom line. These are the times when manufacturers and retailers will ante up rebates that can often knock over $200 off the cost of a set of tires. But before you walk in and sign on their dotted line (which typically has several paragraphs of small print and gotchas), you need to plan ahead. The Tire Rack and Consumer Reports do a great job of separating the rolling masterpieces from the lumps of rubber. Use them to figure out what tire is best for where you live and how you drive. There's also a secret weapon you can use to your advantage that will save you big money. Just by searching online for the brand of your chosen tire and the correct size, which is located on the side wall (for example 195/70/R14), you can usually save about $20 per tire. Also, it's worth checking the current rebates at the websites of the major tire stores near where you live. Ultimately, that’s exactly where you’re going to go to get an even greater savings. Last year I was able to get a top-rated set of tires that would regularly cost close to $400 for only $112 out the door. How? First, I searched the online price and verified the retailer would match it. Then I went to their web site and found $230 in rebates and related savings for that specific brand. Before I was finished, I also got them to match a $20 mounting and balancing charge offered by a nearby independent shop, and since their competition didn’t charge for tire disposal, guess what? Free. This all took less than a half hour to do. Ninety-nine percent of the time you really should avoid credit card offers. 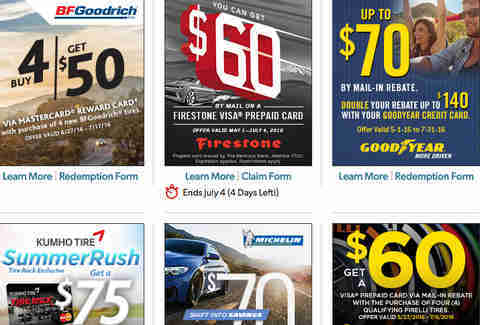 However some tire retailers will offer an extra $60 or $70 if you use their credit card for the purchase of four tires. The trick is to make extra sure that you set up automatic payment and then never use the credit card for anything other than the infrequent purchase of tires. This can typically add another 15% to 20% in overall savings for what amounts to a one time use. The best way to buy tires is not to come in with a quote from somewhere, but to instead create one of your own. It's basically the culmination of the steps above. 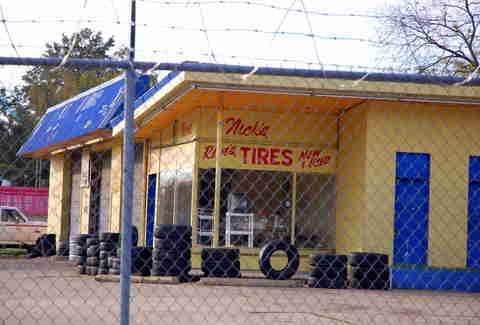 First, you go online to find the best price for the tire you want; obviously, you want your local tire store to match it. Call a few nearby retailers to find the cheapest price for mounting and balancing, and while you're on the phone ask what the tire disposal fee is. Most places will have one, but it's not regulated so the prices will vary. Once you've got the basic number, you're ready to subtract all those beautiful, beautiful rebates.